Published on December 30, 2016 January 13, 2017 by Miami Art Reviews Inc. Published on September 6, 2015 January 14, 2016 by Miami Art Reviews Inc.
Ivory and Africa’s agony. A Call To Artists 2 Make A Stink. Published on November 18, 2013 January 14, 2016 by Miami Art Reviews Inc. 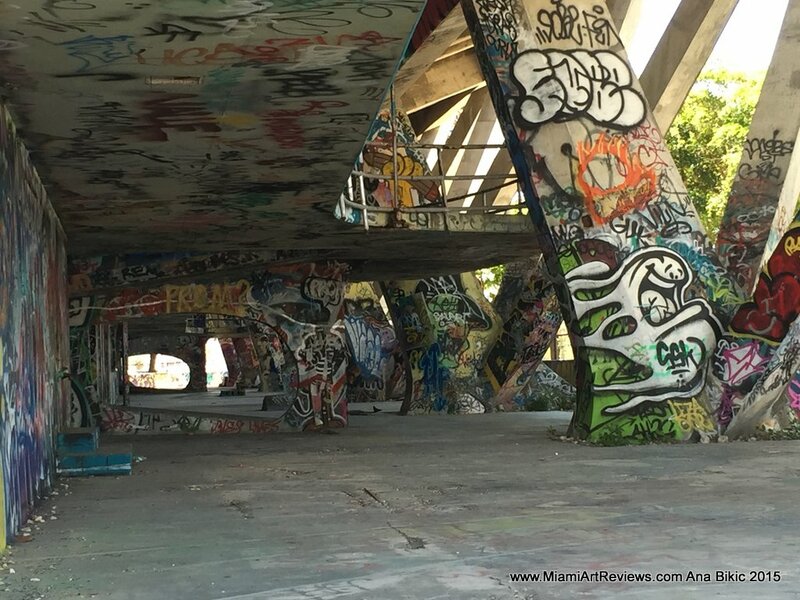 Published on December 17, 2015 January 14, 2016 by Miami Art Reviews Inc.
On Sunday I went to visit the Miami Marine Stadium on Virginia Key, Biscayne Bay’s iconic concrete bleacher has withstood neglect to shine as a blaring example of how Miami seems to just loose out on obvious opportunities. In all these years of development, civic response and ultimately a lack of immediate restoration response the structure’s exposed iron brackets, beam re-bar and drainage systems have continued to deteriorate causing ultimate restoration cost to soar beyond commercial and finance projections. If only all concerned had used a marine rust inhibitor and coating all the exposed metal with a thick layer of grease. A small work order of less than $50,000 would have saved millions. The stadium’s general integrity is a testament to Hilario Candela’s expert design skill but the current costs of restoration are yet again proof our city just lets things slide. The State’s engineers have visited our Bay bridges regularly and found them woefully wanting on protective coatings and their upkeep. Whether it’s the inspector’s recommendations being ignored or lapse oversight of crews, Miami ends up looking ammeter every time it sticks its hands out asking for money because we haven’t taken care of our toys. The most recent issue to the Marine Stadium story is the clumsy manner in which the beach clearance was handled, whilst many are glad to see Australian Pine and Brazilian Pepper be eliminated from the shoreline around the stadium. 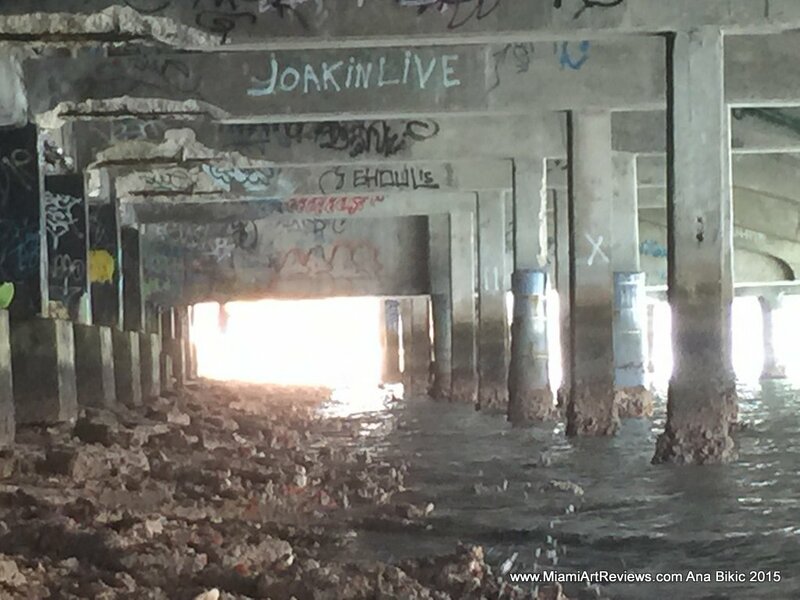 City of Miami blames contractor in Marine Stadium mangrove destruction. The loss of thousands of indigenous shoots that have sprouted is another example of the lack of knowledge on the ground shown by crew leaders and un-creative management to handle local concerns. 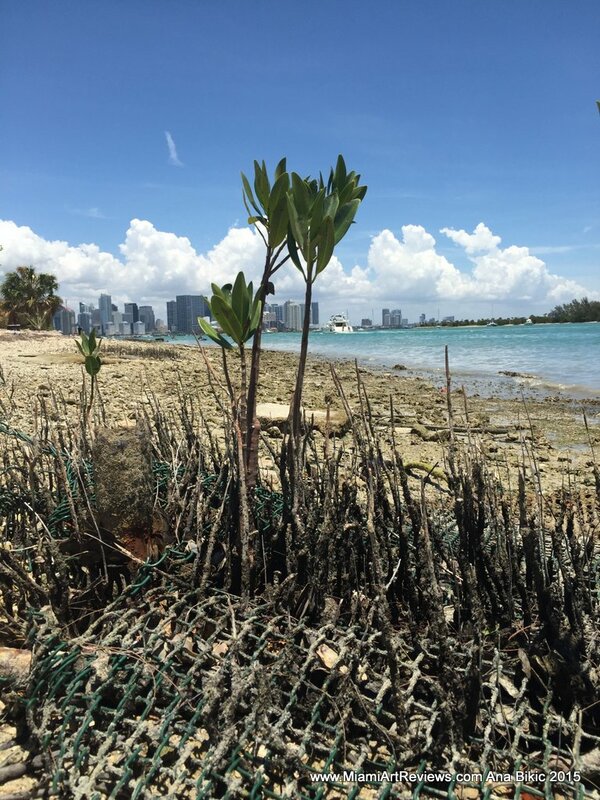 I was alerted to this by fellow environmentalist and Virginia Key activist Blanca Mesa, who I’ve known for many years through the Urban Environment League of Miami and I have to agree with her that our responsibility to doing things the right way, although often more arduous, harvests better results. 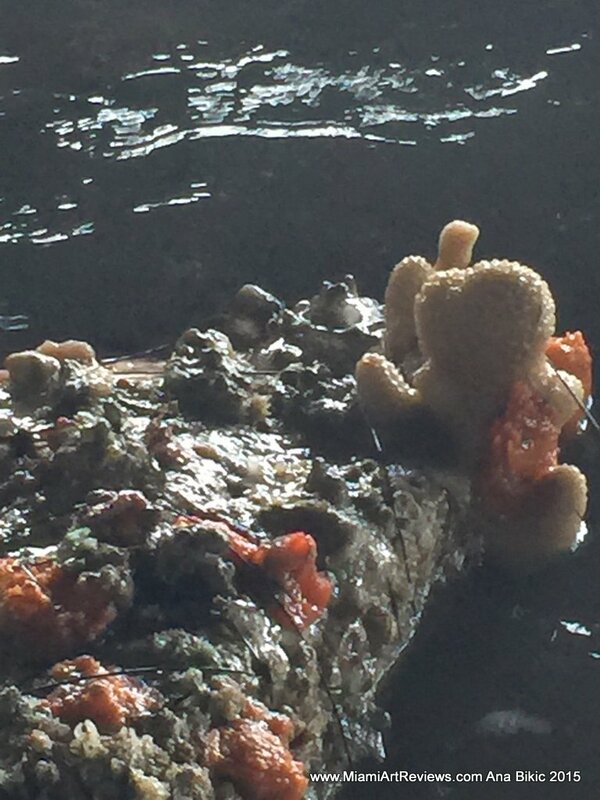 Perhaps another consideration is the numerous colorful sponge corals’ plight I found in the tidal wash under the stadium. Nature has this wonderful way of tagging along, marine creatures and pioneer organisms quietly attach themselves to our forgotten remnants and in turn are blamed for symbolizing ruin. 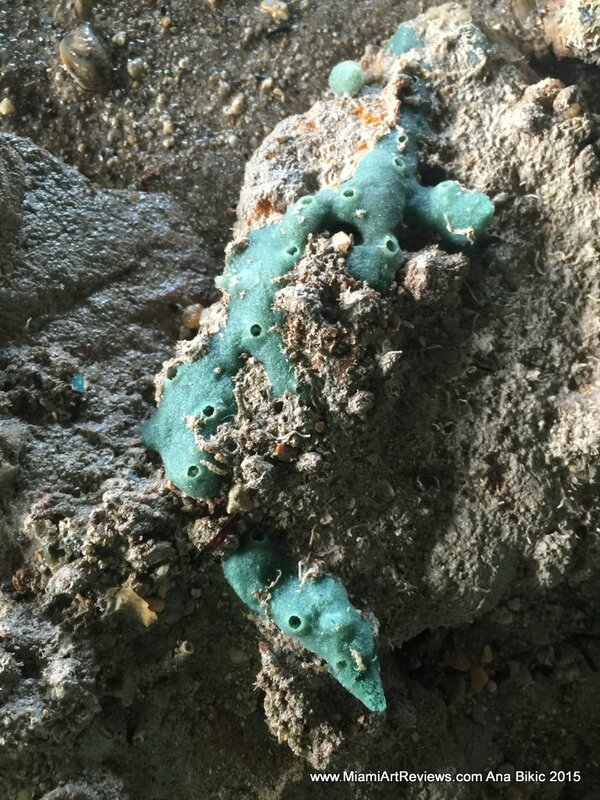 The Bay biosphere is under tremendous stress from human activity this year with the dredging, broken sewer lines and invasive species causing local fauna die offs. Many marvel at the beautiful turquoise waters after the Core has barged by, I lament the color to a choking death of the Bay water’s creatures. This circumvention of standard safe torpidity levels would never have been allowed ten years ago, but thanks to some fancy legal footwork development companies and other corporations have sullied any environmental suits. Thus setting a dismal precedence for other bay area projects around the State. Yes we can replant mangroves between the boat slips and design mooring pillars to attract shell life whilst hosting an International boat show but unless the obvious is put to priority everything else we try to do just comes off as contrived, self-invested and ridiculous. The environment matters, the immediate restorative issues need practical attention and finally a conservative and viable economic plan for growth of the Stadium and surrounding enterprises should be quickly agreed upon. 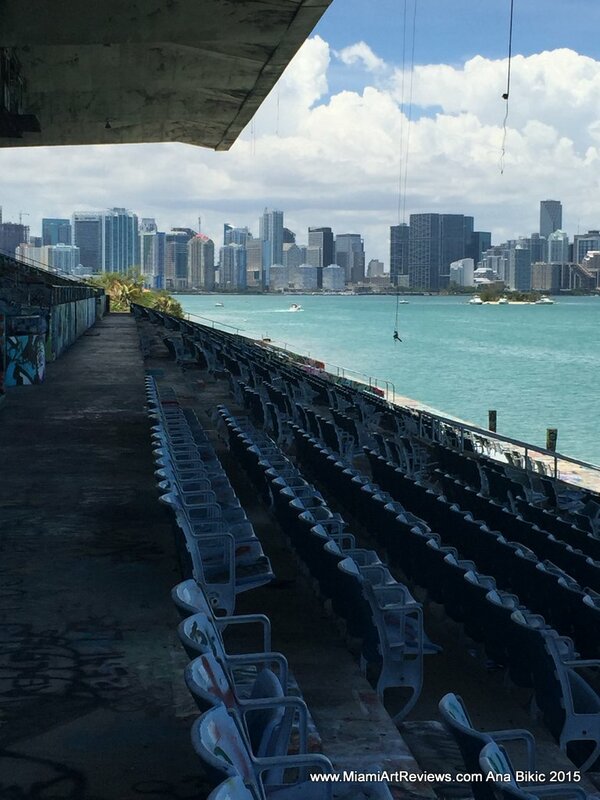 To encourage further important architectural work and Miami landmarks in the future, we should emphasize the value of this unique marine stadium. Finally I have to address the issue of free shore line access to the public. Biscayne Bay is our playground, we abide by mooring and channel guides while attempting to maintain the Bay’s enviromental health.The State laws governing accessibility should never be altered like the water torpidity levels were, the waters are our refuge from urban life, they let us explore and discover ourselves each weekend by marveling at nature’s omnipotence. 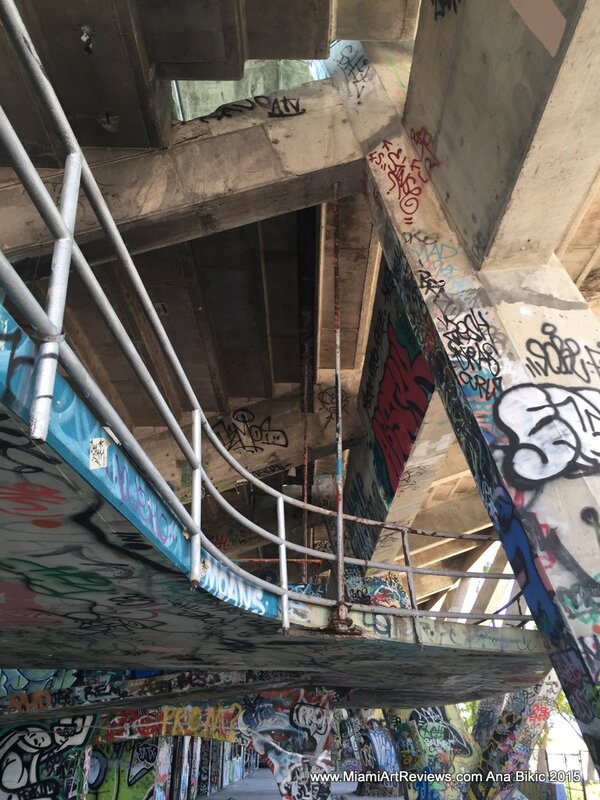 The pursuit of happiness I experienced many years ago was a Sunday afternoon listening to a floating live band under the flying bridge concrete canopy of the Marine Stadium. If Miami does this right, it will encourage others to stay and contribute their creativity to our city. To reiterate ; prohibiting people from visiting an internationally renown structure, with its curious graffiti-ed decoration is not only ignorant but also shortsighted. Why the Friends of the Marine Stadium have not succeeded in raising enough financial support is symptomatic of a banking and investment industry not willing to venture to a commoners’ pursuit. If the Boat show garners more attention for the Bay, don’t be surprised if the guards double in numbers to deter the Stadium’s curious admirers and our shoreline visits restricted to mask an unwanted compromise designed with excess instead of access. 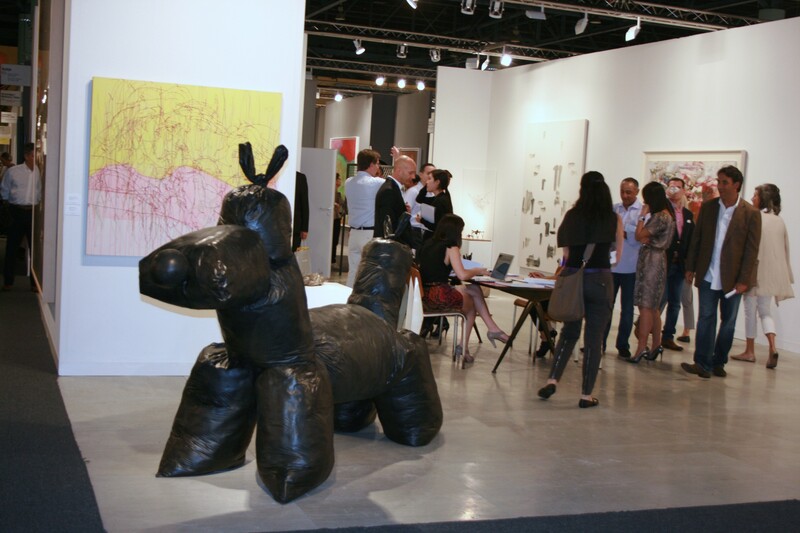 Published on October 27, 2015 October 27, 2015 by Miami Art Reviews Inc.
Art Basel 2014 Miami Beach. in reality. This years Miami market has been well fielded by new residents from Latin America, Russia and Asia, the police and Federal authorities are booking hundreds of prime real estate units confiscated for financial washing. How has Basel survived Miami so long ? because it’s avant garde art and trend in style. Published on January 18, 2015 November 5, 2015 by Miami Art Reviews Inc.
Snarkitecture is Art incorporating architecture, Working within, architecture and designers. Snarkitecture established by Alex Mustonen & Daniel Arsham. Published on October 9, 2013 October 11, 2013 by Miami Art Reviews Inc. 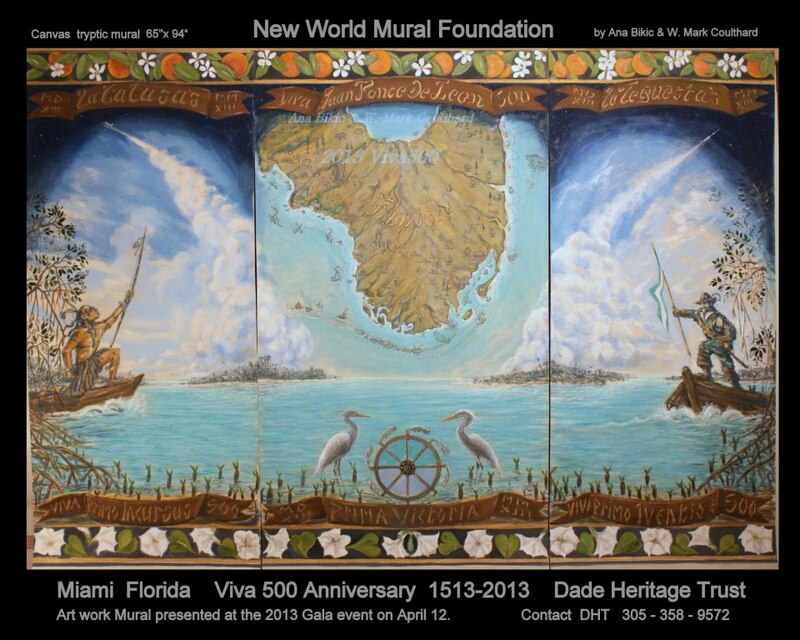 The New World 1513 Mural Foundation will be participating at the Gables Hispanic Cultural Festival on 26th and 27th October. This outdoor weekend Festival, in it’s fourth year, will feature local food, live music and art activities for the family. 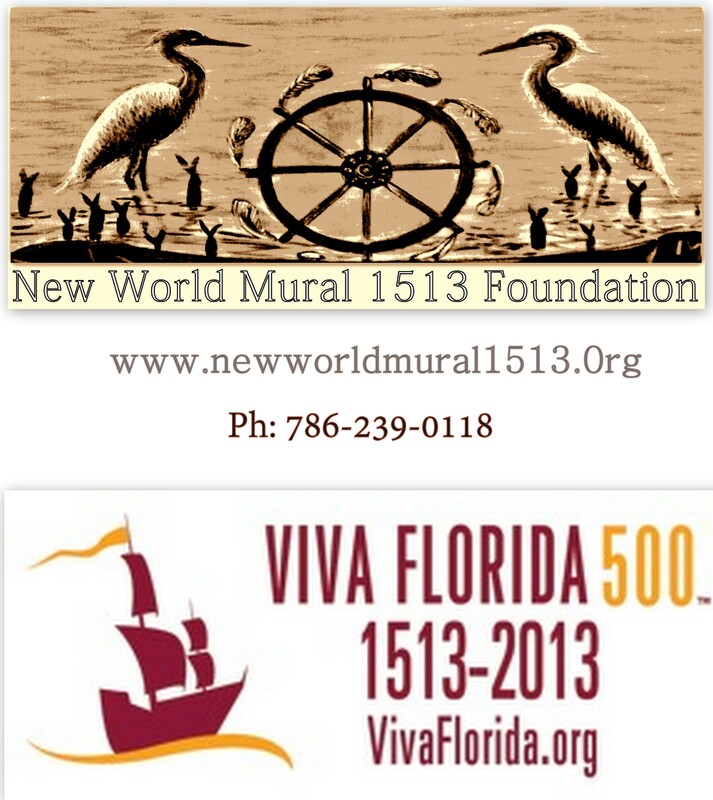 The New World Mural 1513 tent at the Gables Hispanic Cultural Festival will be showing a recent tri-panel canvas mural celebrating Viva 500 . 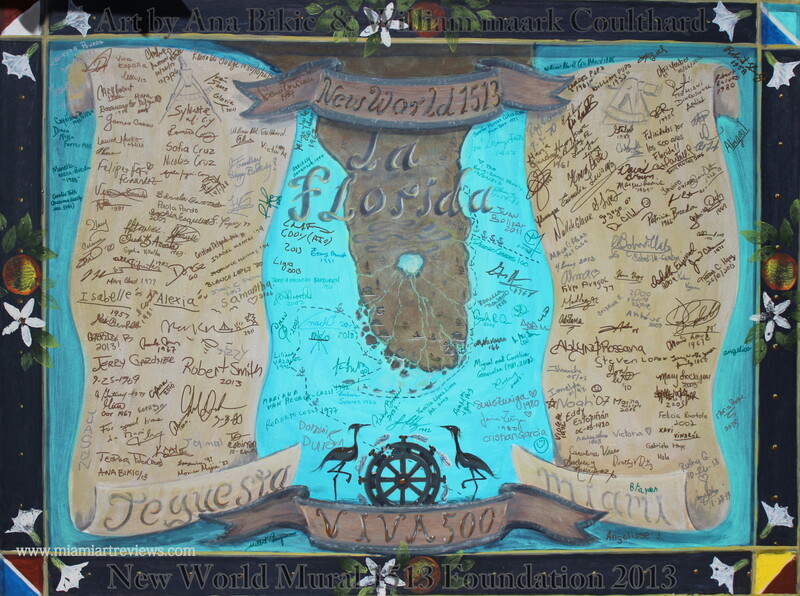 Tickets for the raffle of this mural will be sold at the tent,proceeds are going to the Dade Heritage Trust. with the final drawing at the end of the year. The tent will also have postcards and small posters of local historic art for sale, a student history quiz with prizes and an opportunity for families to don period hats and take photos together in front of the art work. 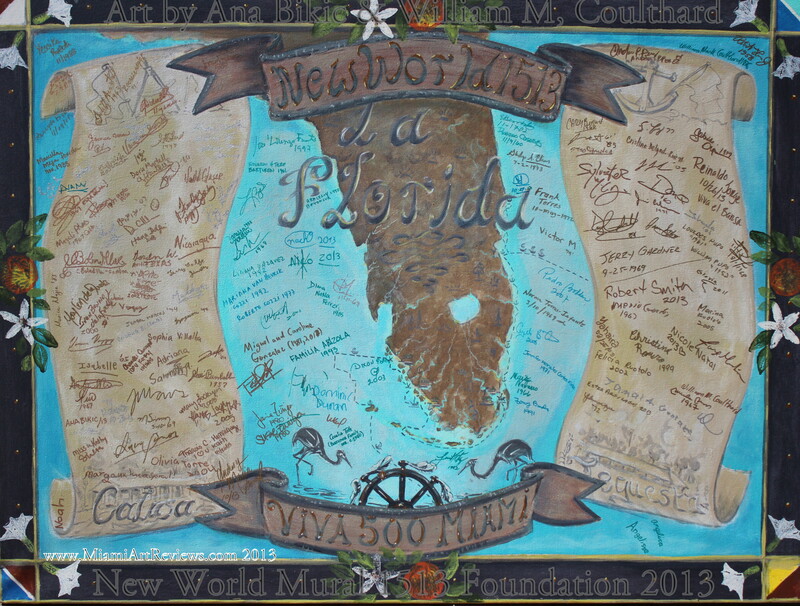 There will be a large canvas scroll mural where visitors can sign their “thanks” which is to be sent to the State’s archive collection for this year’s Viva Florida 500 program. 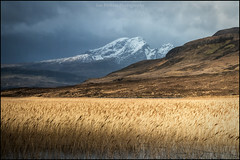 settlement discovered by the Spanish explorers. The Gables Hispanic Cultural Festival will be at Biltmoor Way and Le Jeune, Coral Gables. It is a free family event lasting all day Saturday and Sunday, on the 26th and 27th October. Come and join us to learn that St Augustine was not the founding site of Juan Ponce De Leon 500 years ago in 1513. It was the Biscayne Bay and Tequesta Miami that were named as the first discovered Native American settlement, Viva 500 Miami. Published on November 3, 2013 November 3, 2013 by Miami Art Reviews Inc. Launched in 2010, the Dolphins Cycling Challenge (DCC) is a two-day tri-county charity cycling event. The DCC is dedicated to raising funds for lifesaving cancer research at the Sylvester Comprehensive Cancer Center. Started in 2010 the Challenge organizers hope to equal last year’s whopping $2.2 million dollars raised. So far the events combined have raised $3.8 million with $1.9 million for this year 2013 already. The event has over 2700 registered riders, who have a choice of 30 to 170 mile rides to participate in over the two days spread over the tri-county area. Set to raise over $6 million in 4 years the University of Miami Sylvester Comprehensive Cancer Center receives an admirable donation from Miami Dolphin fans and the Miami Dolphins. Photos taken Saturday Nov 2nd 8.30 am at 3rd Ave. and Coral Way as the cyclists enjoy the shade of the Banyan trees heading to South Dixie Highway. Pictured; event official Robert Hayden directing the groups along the way. 100% of the funds raised by the riders are presented to the UM’s Cancer Center. The logistical support donated by the Miami Dolphins. 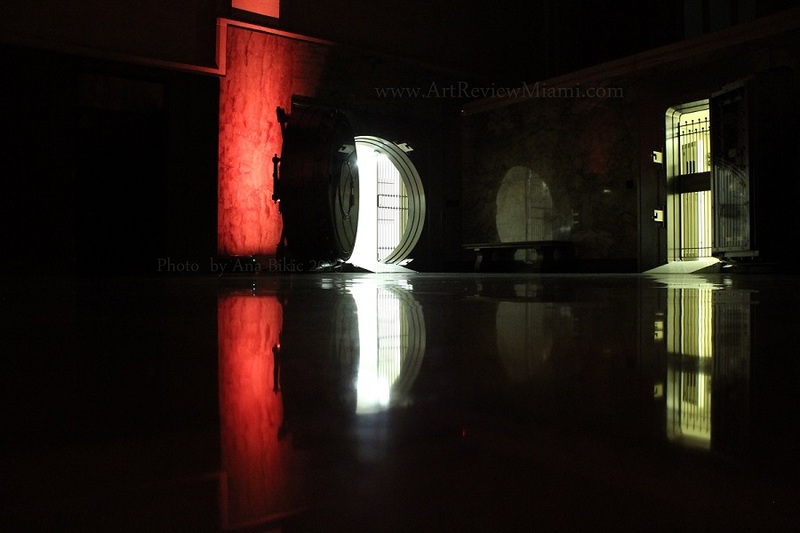 Photography Ana Bikic/Wm Coulthard Miami Art Reviews.2013 Miami Art Reviews Community Arts and Sciences Events. Fund Raising and Charitable Local Sponsors. Fund Raising and Charitable Local Sponsors Philanthropic Initiatives and projects. Published on October 31, 2013 October 31, 2013 by Miami Art Reviews Inc. Le Jeune and Biltmore Way Coral Gables October, 26, 27. 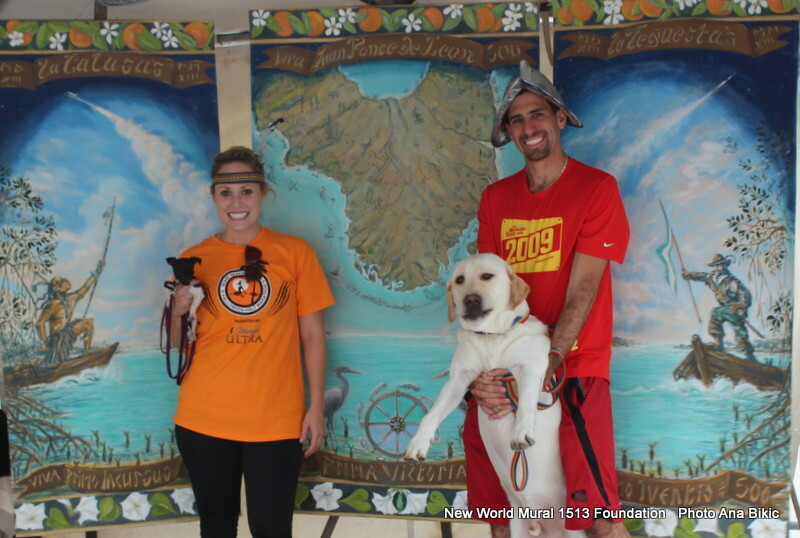 The Gables Hispanic Cultural Festival had it’s 4th annual weekend street festival in front of Coral Gables City Hall . Saturday morning Mayor Jim Cason welcomed everyone from the stage to get the Festival started then made his way up the Festival tents past a host of vibrant and expressive artists and vendors to the West end entrance, where he signed the Gracias Por La Historia canvases at the New World Mural 1513 Foundation’s tent. 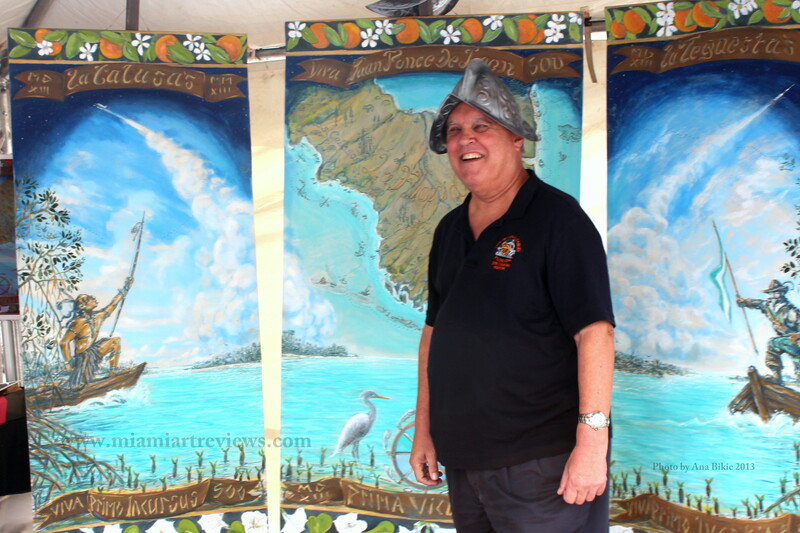 Mayor Cason then posed with a Conquistador helmet in front of a new mural made in partnership with Dade Heritage Trust for the Viva 500 Florida theme, by two of the original Freedom Tower, muralists from 1988. The Gracias Por La Historia canvases filled with signatures by the end of the second day of the Festival, whole families donned helmets and feathers to be photographed together in front of the Map mural being raffled. The signed canvases are destined for the State and Spanish archive collections for this historic milestone in our State’s Viva 500 history and heritage. Families put the dates of their arrival in this area, they ranged from 1866 to less than 6 months ago. 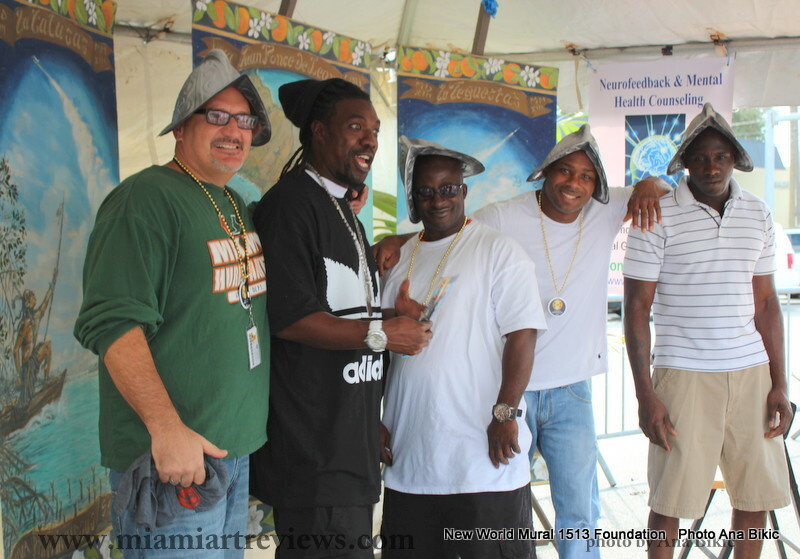 The Freedom Tower Muralists were on hand to sign posters, they were also celebrating 25 years since their New World mural was created for the News Tower/ Freedom Tower in 1988, which commemorates Juan Ponce De Leon’s naming and exploration of Biscayne Bay and Tequesta Miami for two weeks in 1513 and reminding everyone that Tequesta Miami is the first Native American settlement discovered and recorded in the ships logs of Juan Ponce De Leon’s first expedition to the waters North of Cuba. Major Jim Cason is quick to point out that sixty percent of Coral Gables residents and businesses are Hispanic in culture or influence and having the Gables Hispanic Cultural Festival is an obvious win for all. By the time he had made his way back down the other side of the vendor’s avenue the Stage area was well warmed up and sounding out Latin beats that would vary through the weekend from folk and gypsy to Latin funk and salsa beats. The small Merrick Park in front of Coral Gables City Hall had shade and favorite foods found from all over Miami Dade County with kids activities and cool places to sit and enjoy the stage performers. This was a new venue for the Gables Hispanic Cultural Festival, previously at the Ponce De Leon and Biltmore intersect and park area. Their partnership with Waste Management Inc, had positioned clean trash boxes everywhere with soda and water stands never far from any point at the Festival. The Festival ran till late Saturday night attracting the usual Coral Gables Miracle Mile crowd to come across Le Jeune Ave to eat and dance, Sunday evening the Festival ended earlier. The Gables Hispanic Cultural Foundation really organised a very fun and secure Festival again. 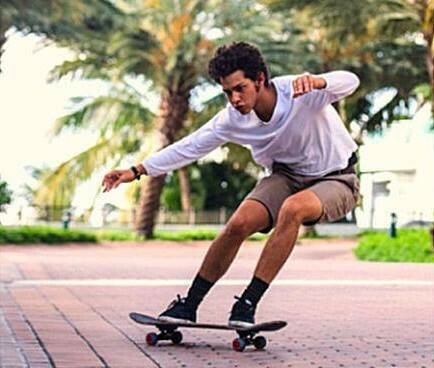 Young graffiti artist Israel Hernandez-Llach dies in police custody. Miami Florida. 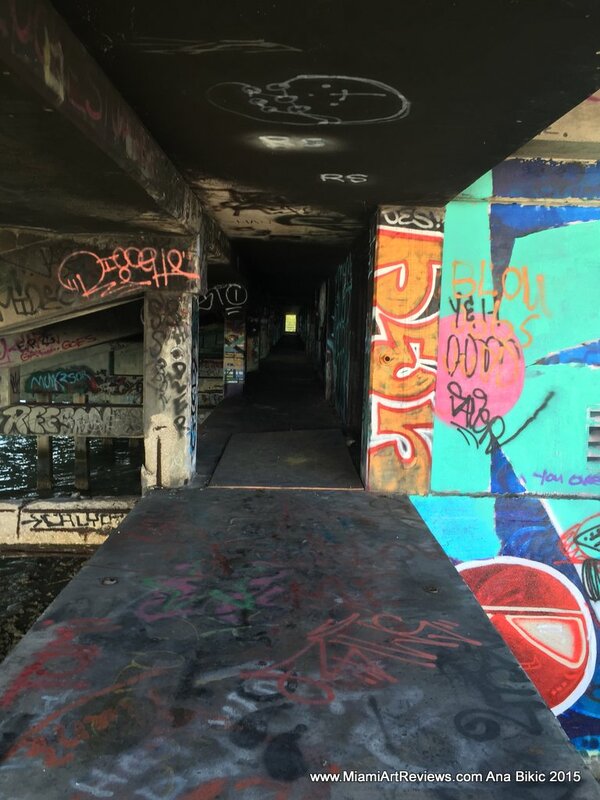 The second problem lies in the gray area where graffiti belongs in the art world. The huge variance in styles and talent create quite the spectrum of different people who call themselves graffiti artists. Taggers and low skill graffiti artists are the usual suspects who we see simply tagging their nick name or some phrase on the wall. It is done to mark their ‘territory’ like a dog’s marking of a lamp post and almost all the time this is the vandalism that we see on our local businesses or homes. 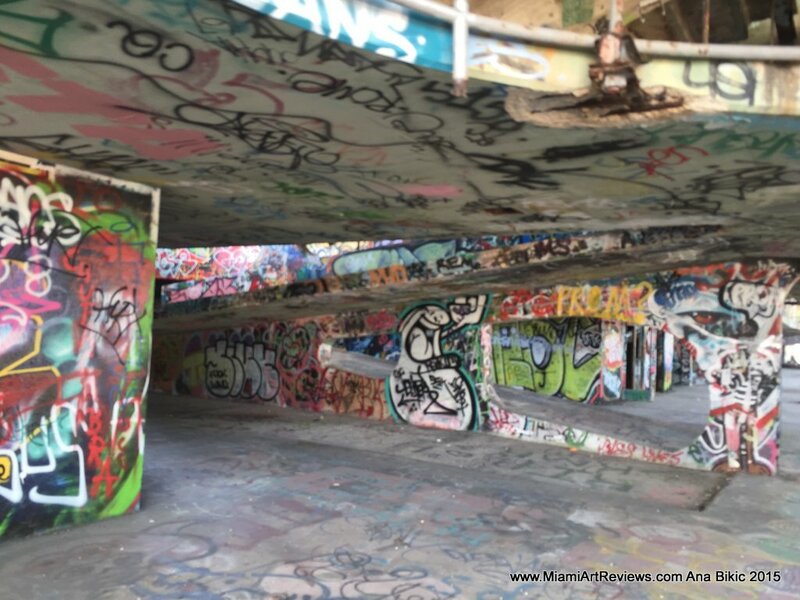 These practices alienate the other graffiti artists or street artists that we see, the ones who invest time and effort into developing an idea then laying it out on a wall or interesting location. Often innovative spray painting styles or stenciling is used alongside an image that has a purpose or message to convey. Some graffiti art is used to commemorate a fallen friend or convey an irony in society. Hernandez seemed to primarily belong to the more developed graffiti artist category, his pieces of work resemble large bright murals with moderate detail. These works could be used for advertisements or as a form of decoration for local businesses if concluded properly but since graffiti artists are usually all categorized by society in the same group, this obviously leads to prejudice, further alienating decent graffiti artists like Hernandez who use abandoned buildings as their canvases consequently being labeled as criminal artists . No one forced Hernandez to break the law by defacing private property, it was his own will. My points are that the expectations that culture creates for people seem to shape their fate more than people think. Maybe if graffiti art had an understood place in society as advertising or just art most of them would not have to resort to being classified as mere taggers. That the use of a known deadly weapon by law enforcement to secure an arrest for a minimal nuisance violation is an excessively lazy and inhumane policy for the edit… “professional law enforcement”, written on all of the patrol cars of Miami Dade County. Published on August 11, 2013 August 11, 2013 by Miami Art Reviews Inc.
Stonehenge 2013 By Brian Curtis UM Art Professor. 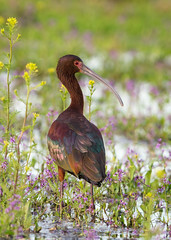 Brian Curtis is the head of under graduate studies in Painting and drawing at University of Miami, Coral Gables. The Stonehenge Series is a departure from his life and figure paintings. The ancient (6500yrs) megalithic stone circle of England set against a tropical sunset may seem like a remarketing tool of artistic juxtaposition but a few days after meeting the artist ,looking west from Miami Beach’s Green Diamond towards Miami’s downtown skyline. 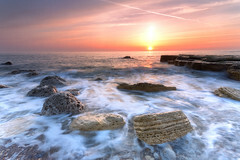 “how much alike the set sun on these new Miami megalithic towers are to Brain’s recent series”. The use of the ancient symbol “Stonehenge” has proved to be very universal this side of the Atlantic. Miami has its own mini circle, dating from a similar time in man’s history, the symbol has always been associated with the psyche,spirit and meeting place. Brian Curtis’s Stonehenges are keys to personal spaces,each sky appealing to each destiny, the brush work delivers only as much as is required with light’s fluidity and life’s color against stone cold realism. The paintings are accompanied with mythical tales, ancient stories and ancestral traditions of ritual. It would be easy to imagine any of these paintings being a subliminal morning flash or returning welcome in many people’s homes. Brian has succeeded in fusing two specific joys into one language, he is after all a professor of Fine Art and his use of universal symbols to evoke emotion and mind is in complete tradition of the visual language of symbols that defines Fine Art from art in general. 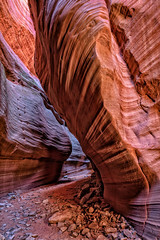 Published on March 16, 2013 March 16, 2013 by Miami Art Reviews Inc. The Historic Alfred DuPont Building in downtown Miami. Old vault doors of the DuPont Bank. — at Alfred I Dupont Building Downtown Miami.